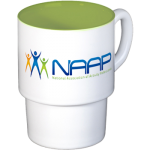 Take or wear NAAP wherever you go! Shop from T-shirts, Sweatshirts and even a Dog Sweater! As well as key chains, mugs, computer skins, caps, travel mugs and much more.